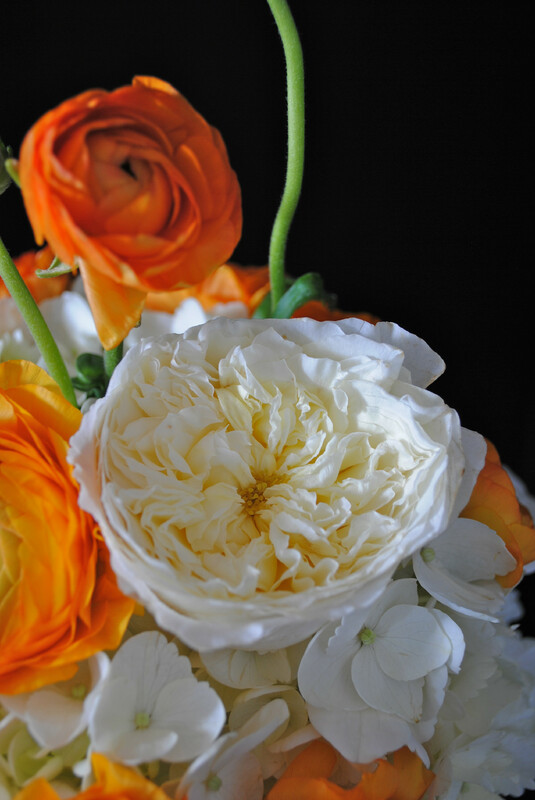 ← Antique china, orange blossom heart singing goodness! Orange you glad that I didn’t use pink? Don’t get me wrong, I love blush pink. 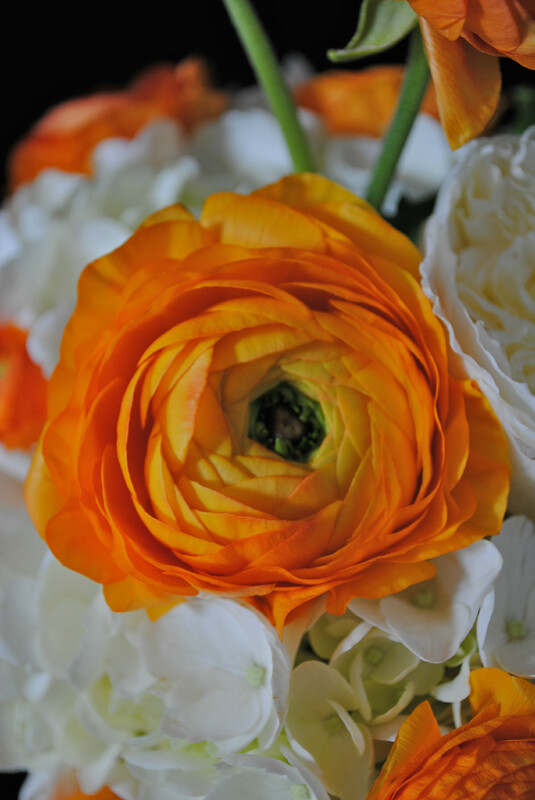 That stated, I have been swimming in a sea of blush, mint green and gold for the past two months and I am itching to shake things up a bit with more bold splashes of color. 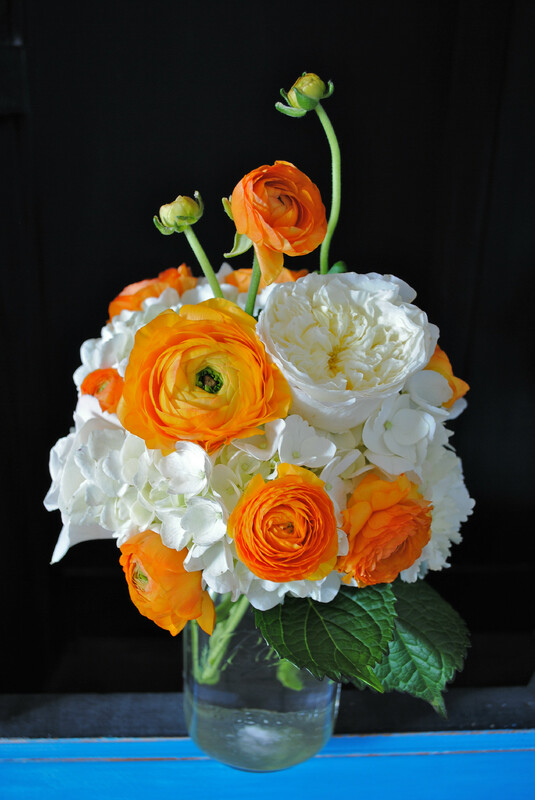 This morning, I whipped up this arrangement of hydrangea, orange ranunculus and white garden roses. 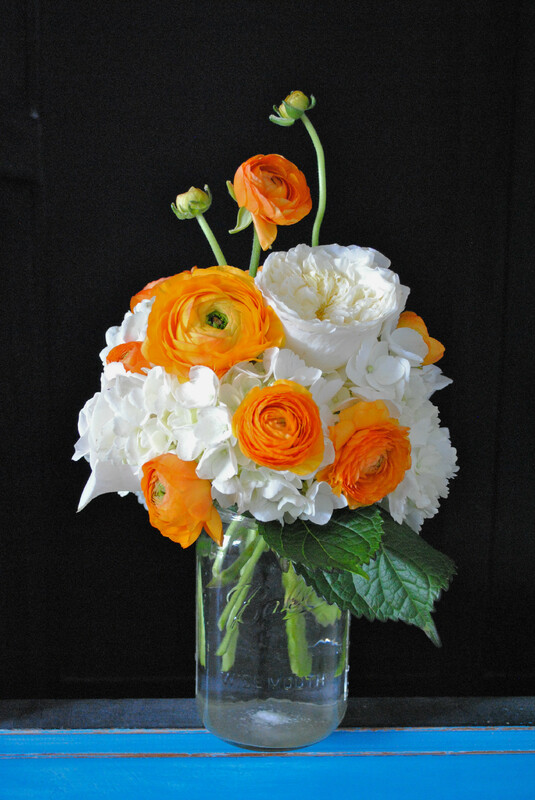 I adore the texture of these flowers, the simplicity of the mason jar vase and the bold cheerfulness of the orange accents. 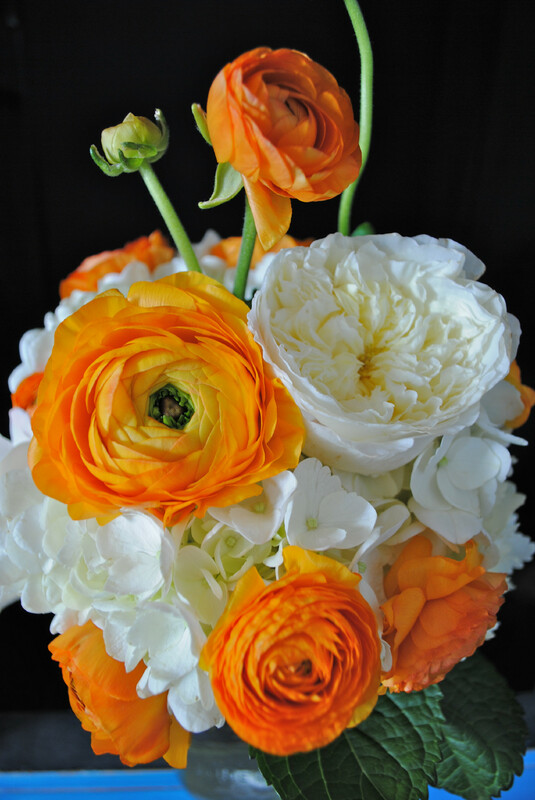 Wishing you a day of pure, colorful inspiration!